(NC 8717 2915) Chambered Cairn (NR). 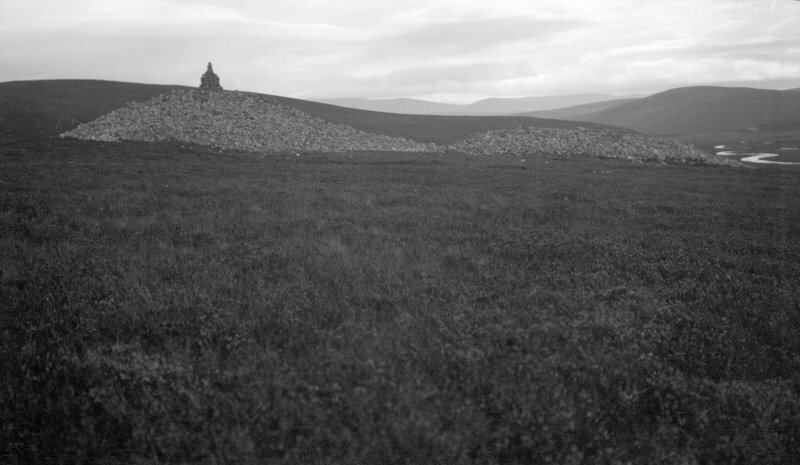 Two cairns of bare stone, apparently intact, forming an embryo long cairn, a two-phase monument of considerable interest in the development of the long cairn since it consists of a 'head' and 'tail', laid out in relation to each other, on the same axis, but set back to back and 9' apart. The earlier of the two cairns is that on the NE which is almost square with rounded corners and rises steeply to a height of 14'. It measures about 100' along its main axis, and a low horn projecting about 7' on the north is clearly visible. A similr horn probably exists below the peat at the east corner. 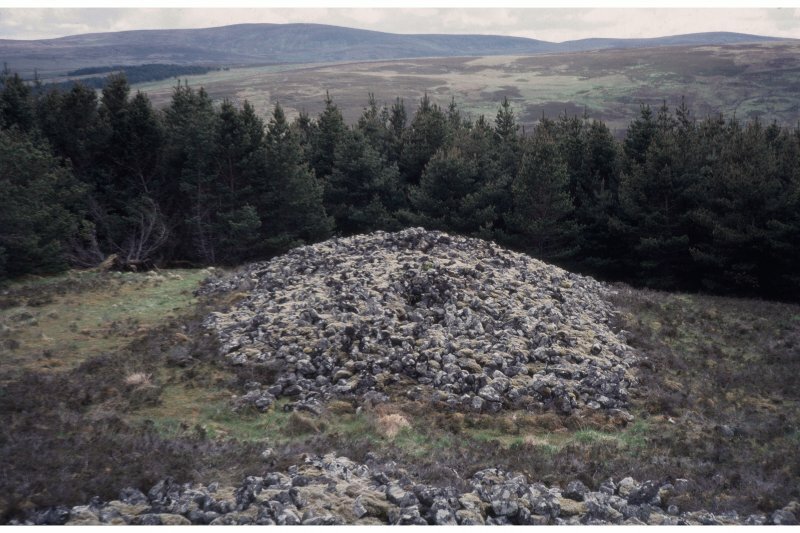 The SW cairn is about 10' high, 102' long, 62' wide at the SW end and 36' wide at the NE end. There are ancient enclosures immediately to the south and east of the cairns but they are now hardly discernible under a thick growth of heather. A S Henshall 1963, visited 1957, A S Henshall 1972, visited 1967. These cairns are as described by Henshall. There is no trace of chambers in either, though the NE example would almost certainly be chambered. Whether these cairns are contemporary or not, cannot be determined from ground inspection. A low spread bank 2.0 m wide and 0.2 m high runs from the SE corner of the SW cairn, and joins the NE cairn at its SE corner. A low stone and turf foundation 1.0m wide and 0.1m high connects the two on the NW side. These walls are of uncertain purpose and date. No "ancient enclosures" can be seen nearby; the cairns are now in a clearing within a forestry plantation. Scheduled as Kinbrace Farm, chambered cairns, Achentoul Forest. Information from Historic Scotland, scheduling document dated 12 February 2001.